Stop by and bowl with us! 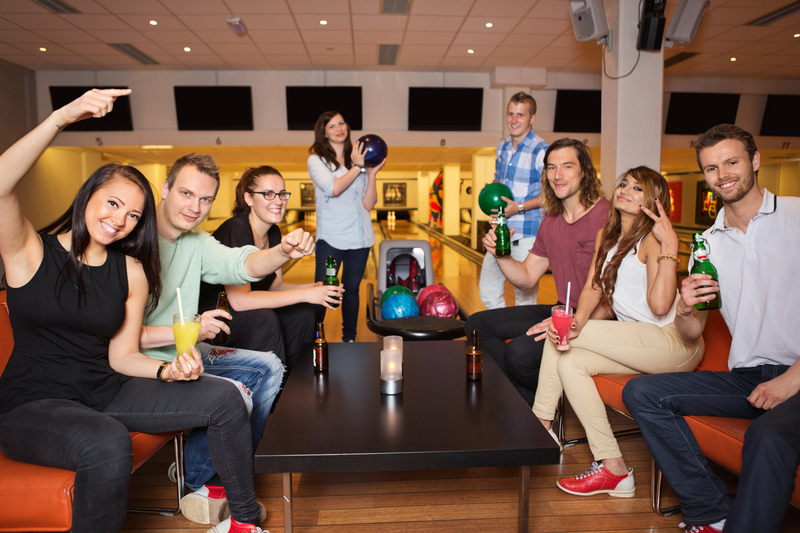 Harvest Lanes is a great place to have fun times with family and friends. At Harvest Lanes you can have a great time at prices that won’t break your family’s budget. We have plenty of bumper bowling lanes just for kids! Bumpers are great to keep the bowling balls out of the gutters and smiles on the faces of your small children. When looking for family fun in St. Peters look no further than Harvest Lanes. St. Peters' Best Bowling Alley! Bowling Is America’s #1 Participation Activity with over 70 million people bowling each year. Harvest Lanes is dedicated to providing the BEST ENTERTAINMENT VALUE in St. Peters. Our modern bowling center has kid friendly bumper bowling lanes available too. We also have plenty of lightweight bowling balls and small shoes for kids. Whether you’re looking just to bowl a couple games by yourself, an outing with friends and family or you want to join a bowling league, Harvest Lanes the place to be. Open Play When Available. Call (636) 928-0788 for Lane Availability.